The mission of NIGA is to protect and preserve the general welfare of tribes striving for self-sufficiency through gaming enterprises in Indian Country. To fulfill its mission, NIGA works with the Federal government and Congress to develop sound policies and practices and to provide technical assistance and advocacy on gaming-related issues. In addition, NIGA seeks to maintain and protect Indian sovereign governmental authority in Indian Country. Incorporated in 1985, National Indian Gaming Association (NIGA) is an inter-tribal association of federally recognized Indian Tribes united with the mission of protecting and preserving tribal sovereignty and the ability of Tribes to attain economic self-sufficiency through gaming and other forms of economic development. The common commitment and purpose of NIGA is to advance the lives of Indian peoples economically, socially, and politically. NIGA operates as an educational, legislative, and public policy resource for tribal policy makers as well as the public, on issues related to Indian gaming and tribal community development. Located on Capitol Hill, NIGA is a leading voice for Indian Country, working diligently to ensure that the special status of tribes is recognized and protected when issues affecting tribal sovereignty arise. NIGA advocates on behalf of Indian tribes with Congress, the White House and federal agencies. In order to accomplish its mission, NIGA often works with Congress and the administration on all Indian Issues under the Commerce Clause. NIGA completed an expansion of the original building in 2015. The Stanley R. Crooks Tribal Leader Conference Center and a multi-story connection between the historic main house and revolutionary era carriage house structures, transformed NIGA’s headquarters from primarily office space to a prime conference-meeting center for legislative activities on Capitol Hill. Ernie Stevens, Jr. is the Chairman and national spokesperson for the National Indian Gaming Association (NIGA) in Washington, D.C. Stevens is currently in his ninth two-year term as the organization’s leader, which is a position elected by the member tribes of the National Indian Gaming Association. As Chairman of NIGA, Stevens represents the Indian gaming industry. 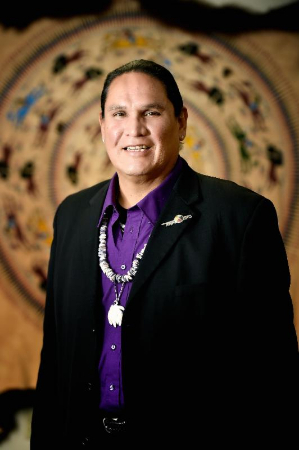 In this role, he has worked to educate Congress, the media and the public about the positive impacts of Indian gaming on tribal and nearby communities. Stevens is also responsible for shaping policy initiatives that have the potential to impact the industry. Stevens has led the Association and worked to protect Tribal Sovereignty and strengthen the Indian gaming industry. During his tenure, Indian gaming revenues have risen from $11 billion in 2000 to over $37.3 billion in 2017 making Tribal Government Gaming the largest segment of the Gaming Industry in the United States, passing Commercial Gaming. Chairman Stevens is an enrolled member of the Oneida Nation in Wisconsin. He and his wife Cheryl have been married for 35 years. Together they have 5 children and 15 grandchildren.